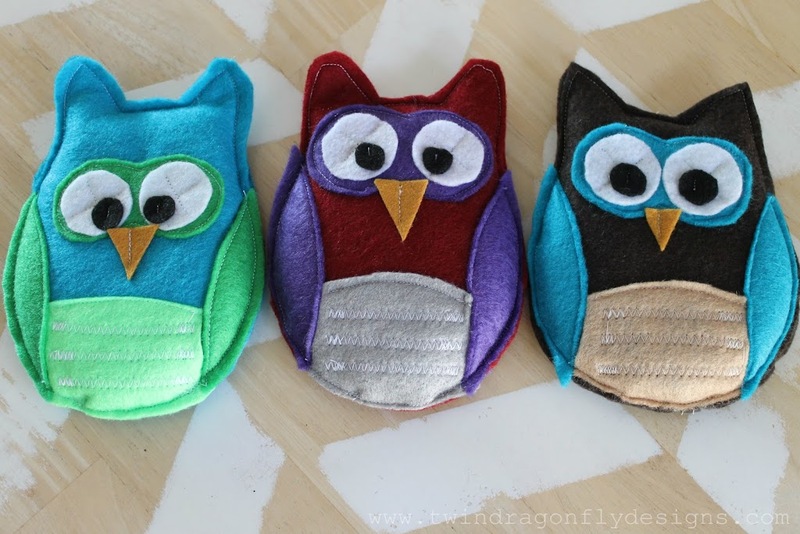 How cute are these little owls? I love them to pieces! They are the perfect gift for little ones ~ put them in the freezer for an unexpected boo boo or heat them in the microwave for a comforting, warm friend. 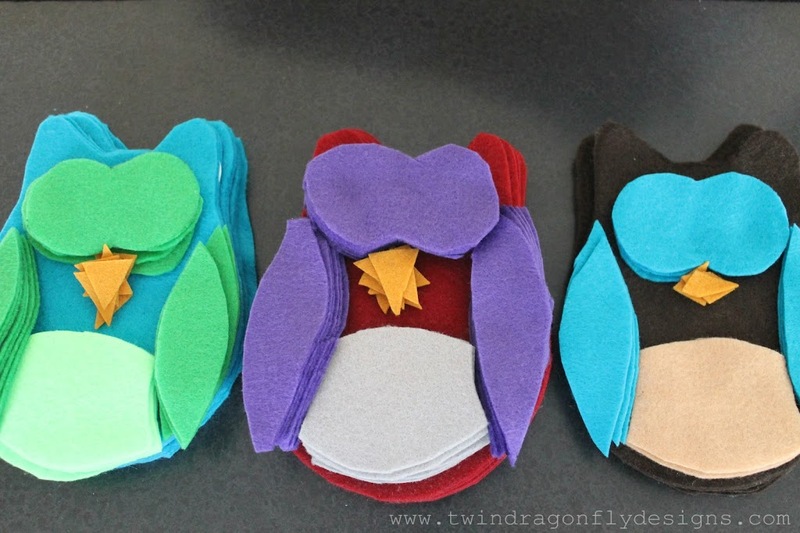 After creating our Angry Birds Costumes, Super Hero Costumes and Unicorn Costume I had A LOT of felt left over. 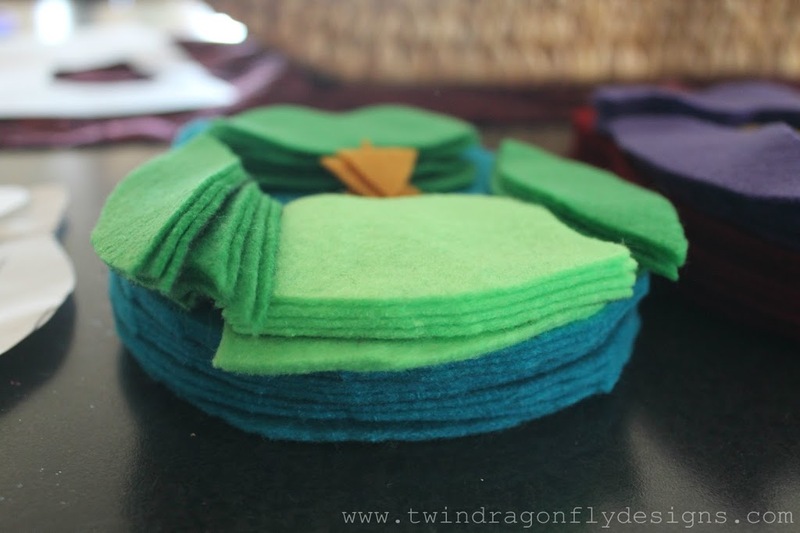 While not washer friendly, felt is the perfect material for craft projects just like this. 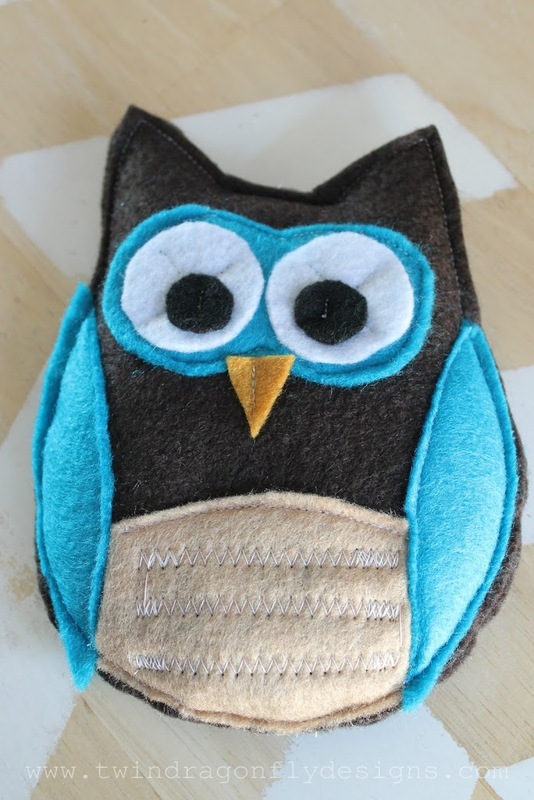 I created a quick owl template/pattern and cut out all of my parts. There are a million owl patterns out there on the internet. Just create your own or find one that you like. If you are interested I can upload and share my pattern ~ just let me know. 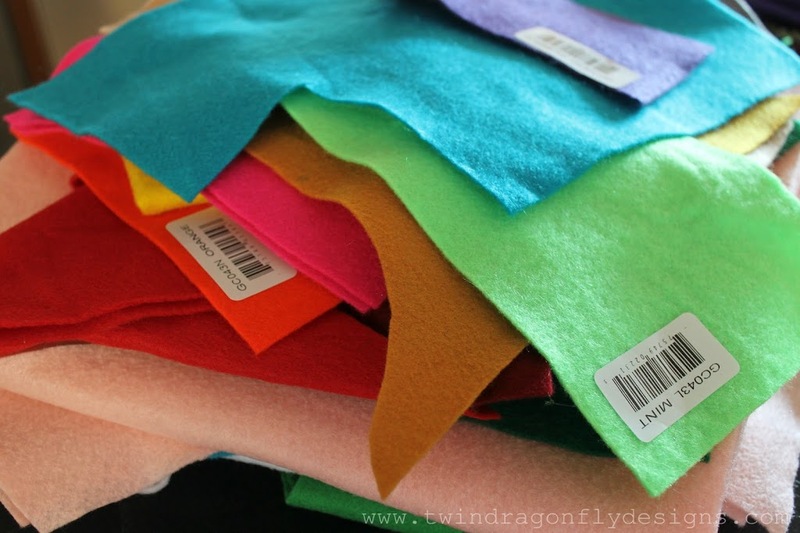 The best part about using felt, in my opinion, is not having to sew right sides together and invert the fabric and worry about fraying material. I’m a lazy sewer what can I say? 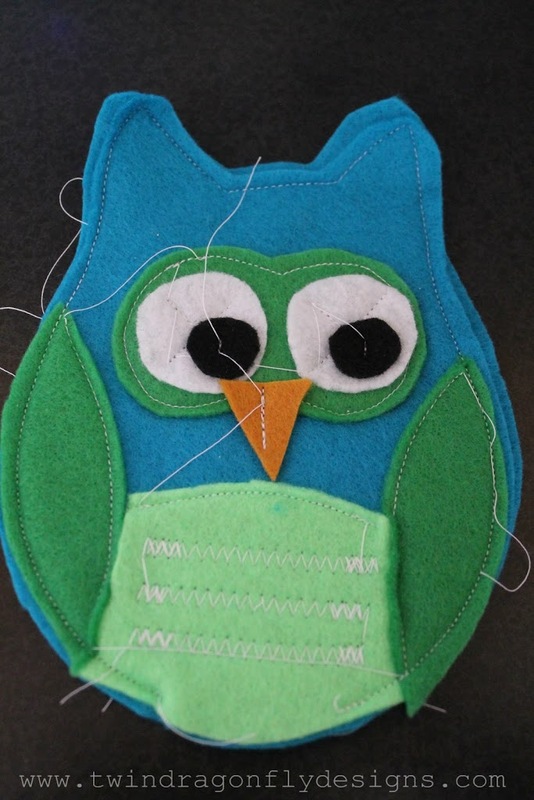 First I sewed the features to the front of the body, then I sewed the front and back of the body together. I left a 2″ hole at the bottom for filling. 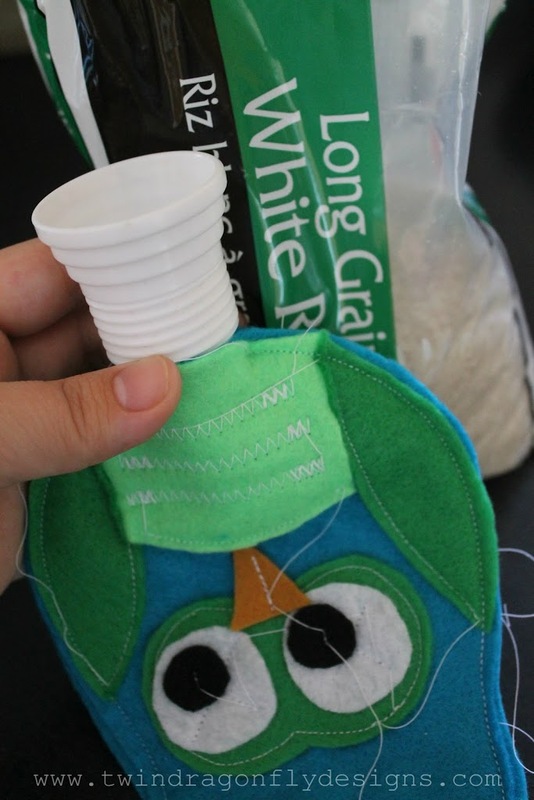 I filled each owl with rice (any rice will do) using this icing adapter as a quick funnel. Then I sewed him up and trimmed off all of the excess thread. Owls need only be heated in the microwave for one minute or can be left in the freezer until needed. Perfect little holiday gifts for all of boys’ preschool friends. Whoooo would you gift these to? Those are so sweet … they really would make a cute baby gift! Very cute! Thanks so much for posting! Mine didn’t turn out nearly as adorable (mostly thanks to my little helpers and being rushed… but by golly, yours are amazing!